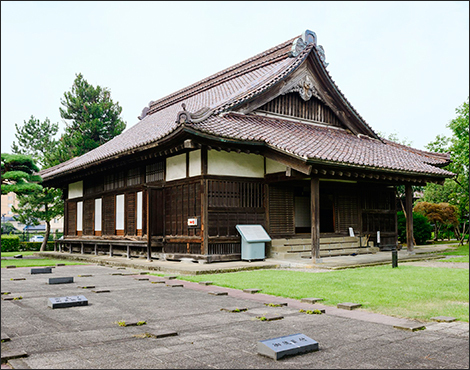 In the Edo Period, Sakata City prospered so greatly as a major stop on the primary northern shipping route that it was considered Eastern Japan's answer to Osaka's Port Sakai. 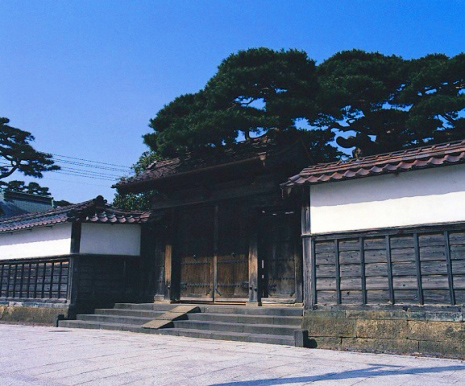 Sakata's Honma clan, merchants who once held the greatest amount of land in all of Japan, were so powerful that, according to a popular folk song: “I could never compete with the Honmas, but I could maybe be a daimyo at least!” This wealthy family built what is now known as the Honma Residence in 1768 to house the feudal lords' inspection parties. 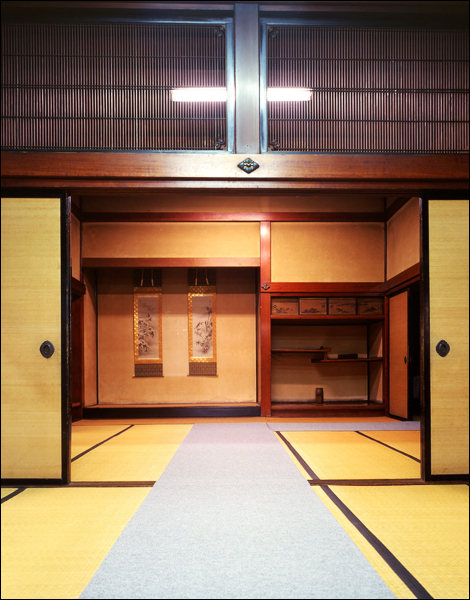 It was presented to the rulers of the Shonai domain, the Sakai clan, but later on was bestowed back to the Honma clan, who began using it as their residence. 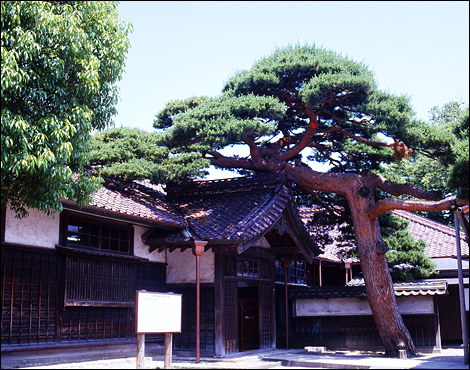 In having a samurai mansion attached directly to the merchant residence, this building displays a mix of architectural styles seen in only a few places in the country. It has been awarded 2 stars in the daimyoMichelin Green Guide: Japan. 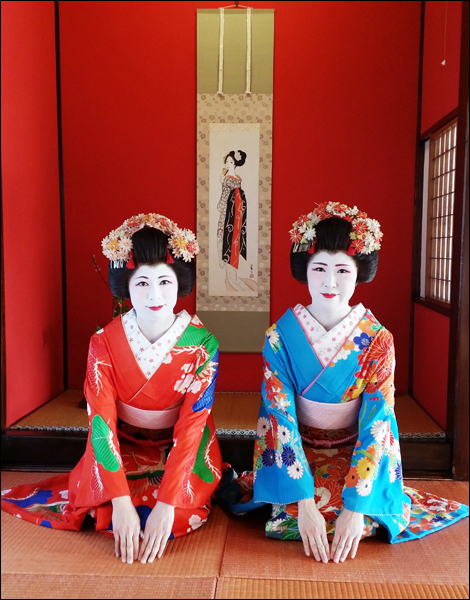 In addition to its amazing hina doll exhibit, historic arts and crafts, portraits, and photographs are also on display at Soma-ro, featured in the Michelin Green Guide: Japan! 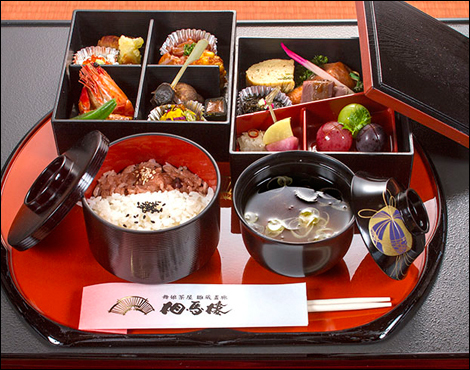 Wednesdays, the Obon holidays, the Year-end and New Year holidays open everyday during the Hina doll festival though the Maiko boxed lunch can not be offered. Reservation required (2 days in advance. Available for 2 or more people.) Please choose one type of memu for the whole group. (※1) Matcha green tea can be served with extra cost (600yen). 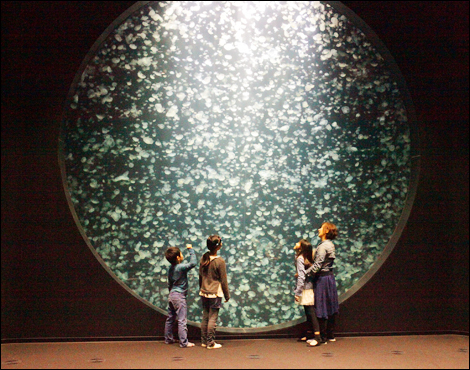 Most notable about this aquarium is its 5-meter tank, the largest circular tank in the world, and the countless jellyfish swimming in it. 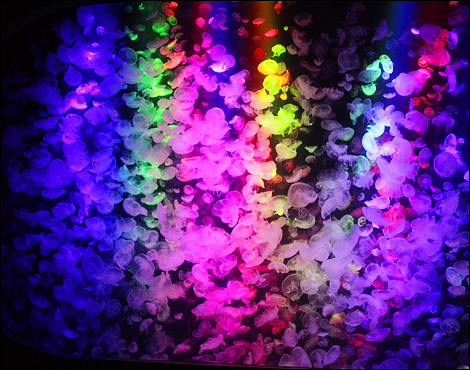 The variety of jellyfish here is the greatest in the world, and is documented in the Guinness World Records. 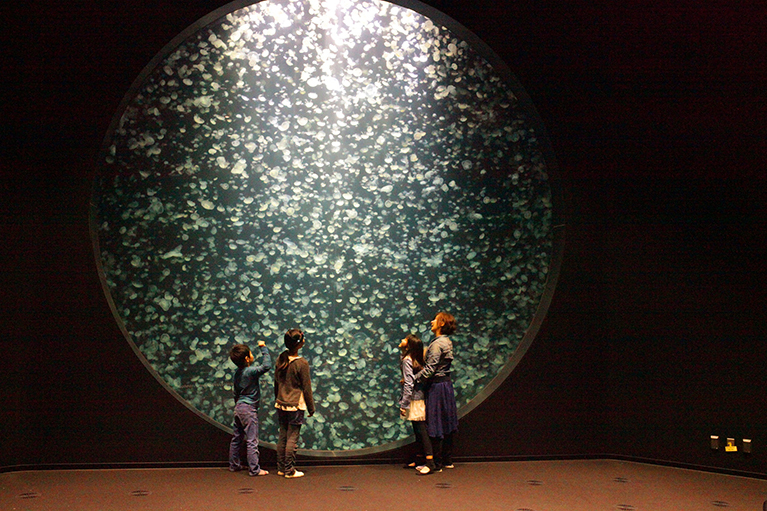 Kamo Aquarium is a popular Shonai tourist spot, beloved by visitors from both inside and outside the prefecture! 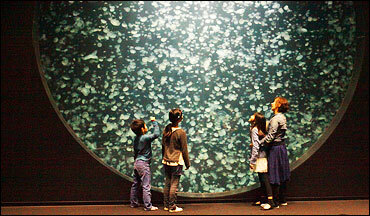 The aquarium is replete with other attractions as well, including trained sea lion shows and seagull-feeding. 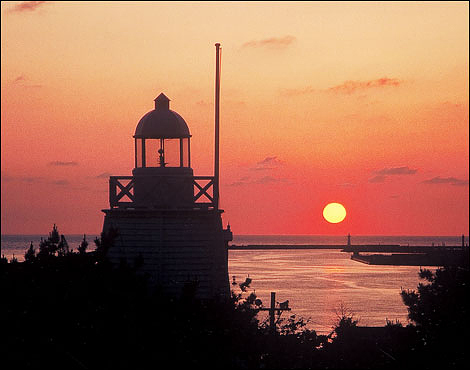 The view at sunset from the neighboring lighthouse is also highly recommended. At the base of Mt. 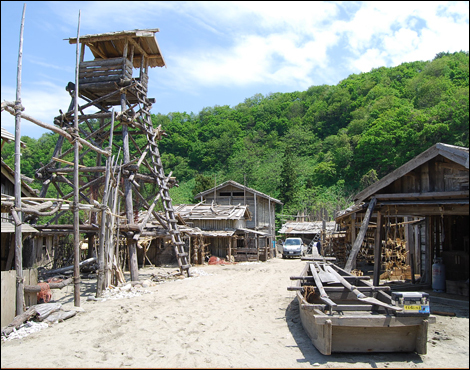 Gassan is a vast movie set where various productions are filmed. 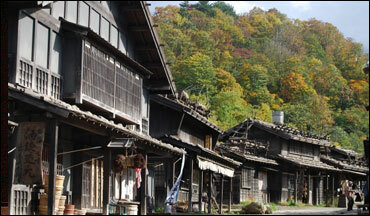 It features a fishing village, Edo-period post town, collier's hut, watermill, and other reconstructed features of traditional mountain settlements. 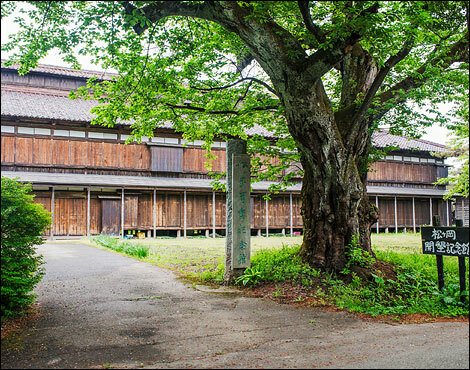 Visitors can experience stage sword-fighting, archery, taiko drumming, and more! 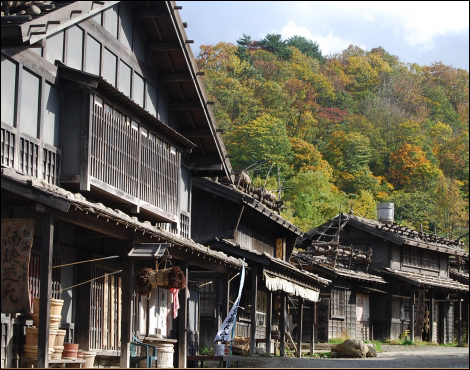 Eleven municipal bodies, including the city of Sakata, applied for Japan Heritage status as “Kitamae-bune merchant vessels’ homes and ports of call: places out of time that recall the dreams held by men who overcame adversity,” and were awarded the designation in 2017. 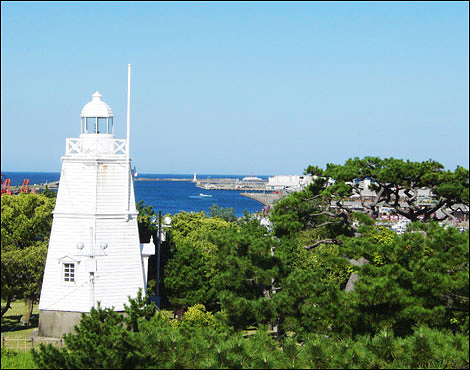 The heights of Hiyoriyama Park, looking out over Sakata Harbor, provide an unobstructed view of the harbor beyond the six-sided lighthouse, the mouth of the Mogami River, and one of Japan’s 100 most beautiful sunsets over the Japan Sea. It's a view that expresses the beauty of each of the four seasons: imagine cherry blossoms in front of the sun's silhouette as it sinks to the sea. On clear days when the waves are calm, Tobishima, Yamagata's only inhabited island, is also visible. 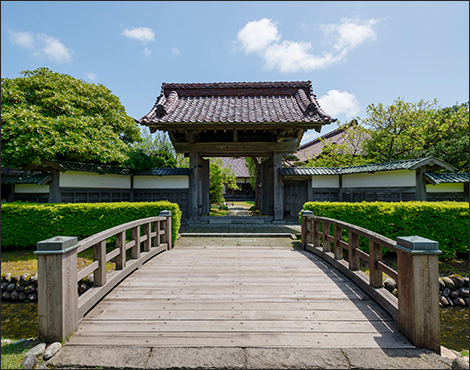 In the Edo Period, Sakata City was part of the major western sea route connecting Hokkaido, northeastern Japan, and the northern part of the Asian continent. 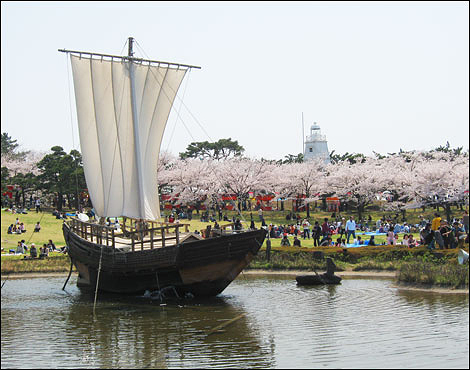 Within the park are relics of this era: Japan's oldest six-sided wooden lighthouse, a stone sundial, and a 1/2 scale historical merchant trading ship, or “kitamae-bune,” which facilitated economic and cultural exchange along the sea route. 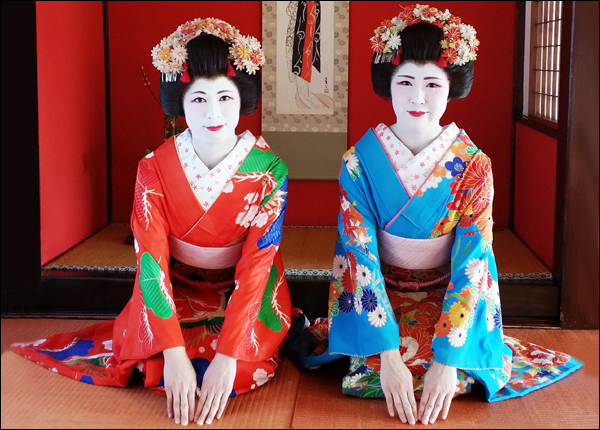 The city of Tsuruoka applied for Japan Heritage status for “Samurai Silk” and was awarded the designation in 2017. In 1872 after the Meiji Restoration, 3,000 former Shonai clan samurai traded swords for plows and cultivated new land in Tsuruoka. 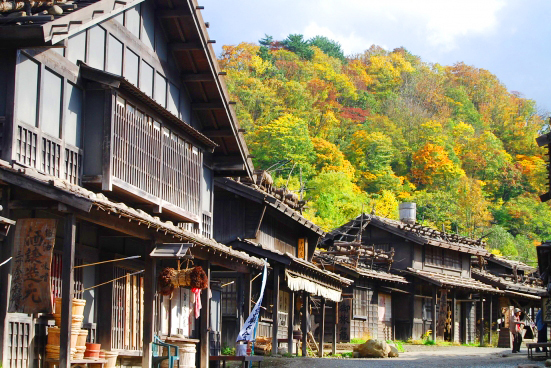 The Shonai area, centered on Tsuruoka City, has been developed as the northernmost silk production area in Japan, with Matsugaoka Land Reclamation Site, home to the largest group of silkworm-raising houses in Japan, leading the charge. It is the only place in the country which keeps an integrated process from sericulture to completed silk fabric. 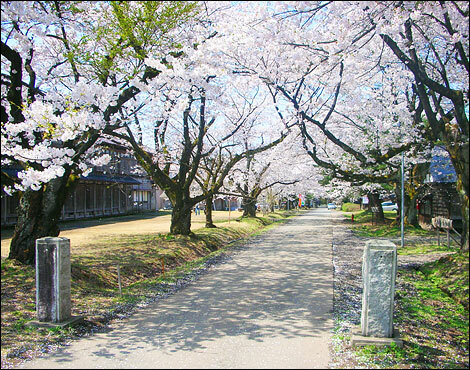 A school founded in 1805 with the aim of renovating the mission style of the Shonai clan and nurturing excellent talent. 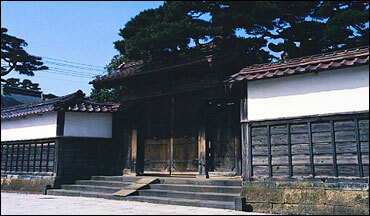 The front gate, the sacred shrine, the auditorium, the lord's room, etc. remain, and are open to the public as a national designated historical site. 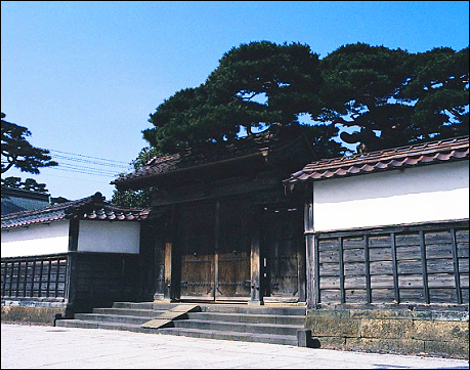 This clan school architecture is the only one that exists in the Tohoku region; it is known to have high a historical and cultural value.